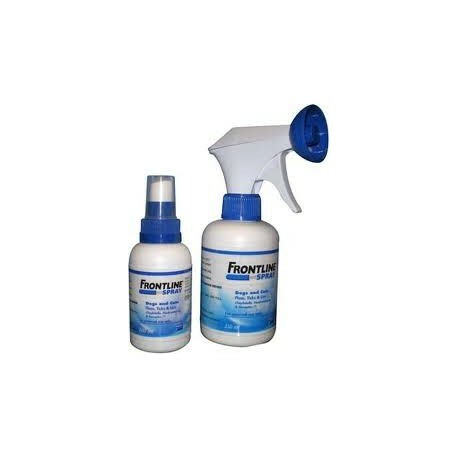 Frontline Spray is a cutaneous spray solution containing 0.25% w/v fipronil, a member of the phenylpyrazole group of compounds, for external spray application, presented in a mechanical pump spray. 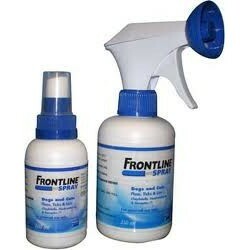 Frontline Spray cane be used as treatment and prevention of flea and tick infestations in cats and dogs, and as part of a treatment strategy for Flea Allergy Dermatitis in cats and dogs. The product is active against Ixodes spp. including Ixodes ricinis, important as the vector of Lyme disease. 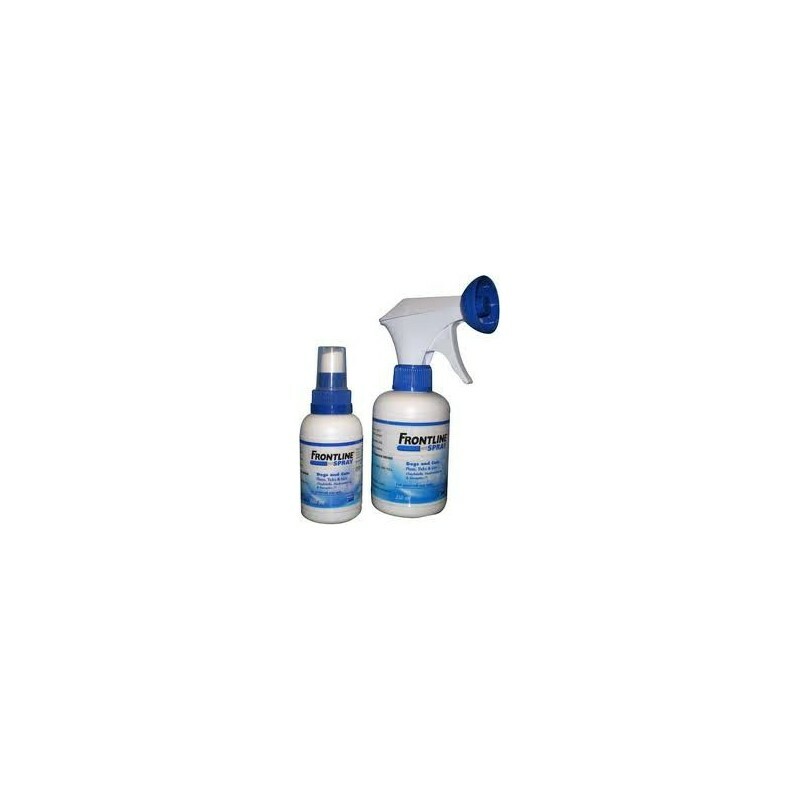 The product controls infestations with Trichodectes canis biting lice on dogs and Felicola subrostratus biting lice on cats. Adjust the pump nozzle to the spray setting. Spray the entire body of the animal, and apply from a distance of approximately 10 - 20 cm. Apply against the lay of the hair and make sure the entire coat of the animal is dampened. Ruffle the coat, especially in long haired animals, so that the product penetrates down to the skin. For treatment of the head region, and when treating young and nervous pets, application may be carried out by spraying onto a gloved hand and rubbing the product into the coat. Allow to dry naturally. Do not towel dry.